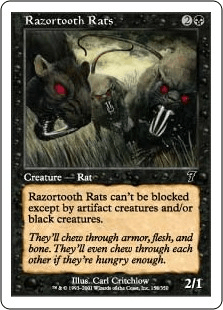 Razortooth Rats can't be blocked except by artifact creatures and/or black creatures. They'll chew through armor, flesh, and bone. They'll even chew through each other if they're hungry enough.